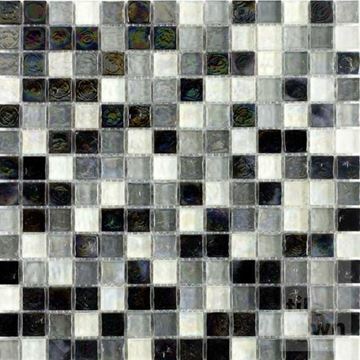 • Stone and glass Mosaic. 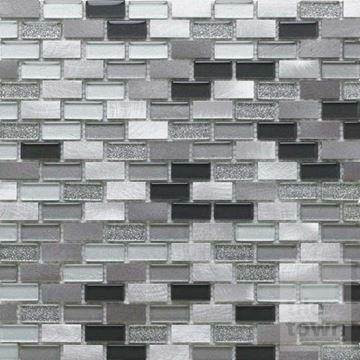 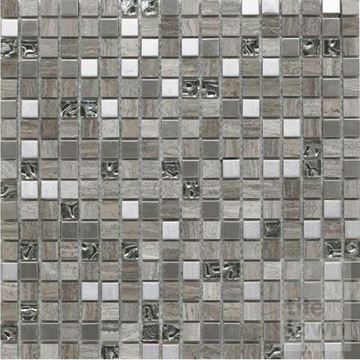 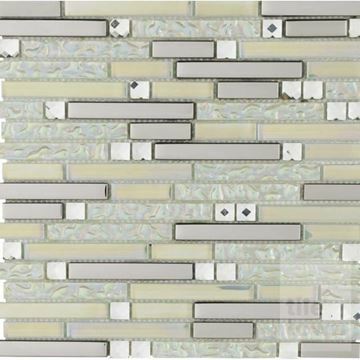 • Mixture of glass, stone and Metal Mosaic. 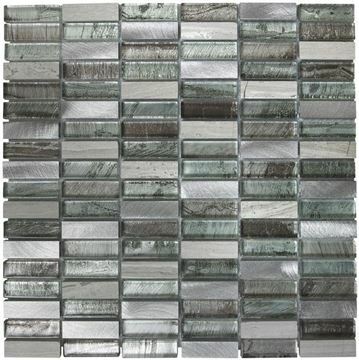 • Mixture of glass and Metal Mosaic. 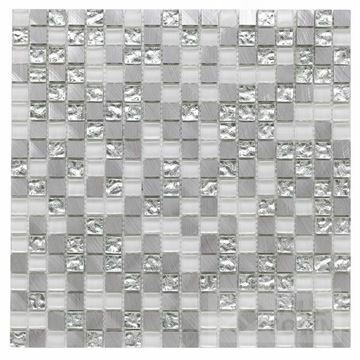 • Also Available in silver. 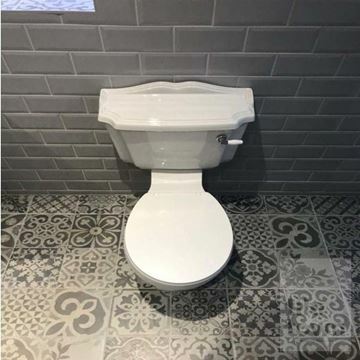 • Also Available in Brown. 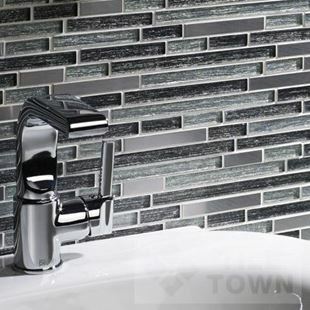 Here's your opportunity to add beauty to your bathroom and wow to your washroom! 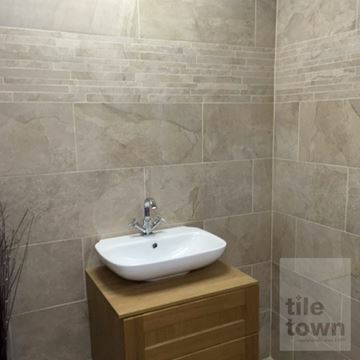 With our superb collections of bathroom floor and wall tiling, let us help you can create a stunning new look that combines style and elegance with durability and safety. 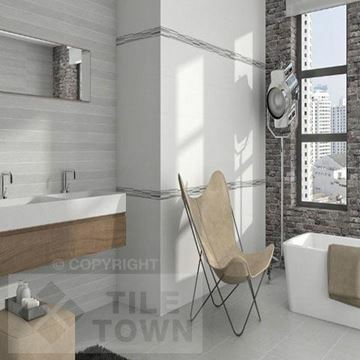 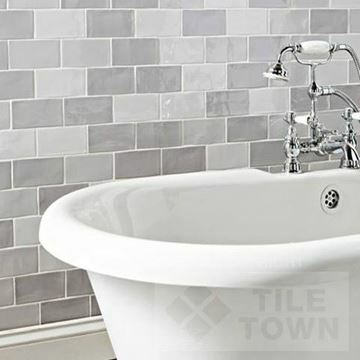 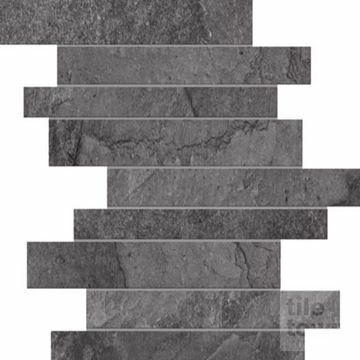 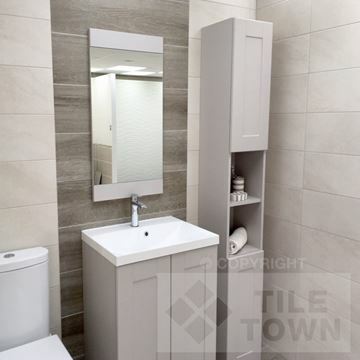 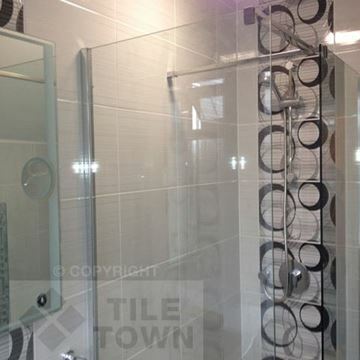 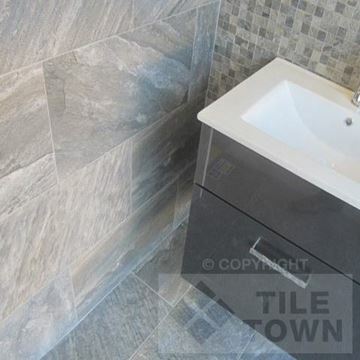 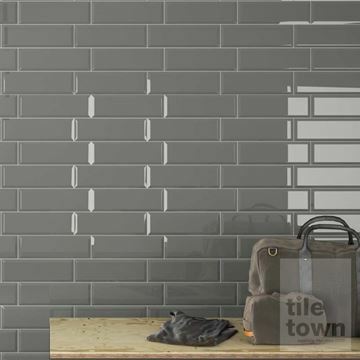 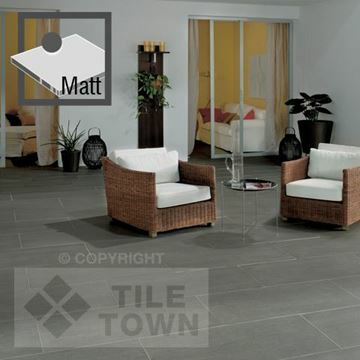 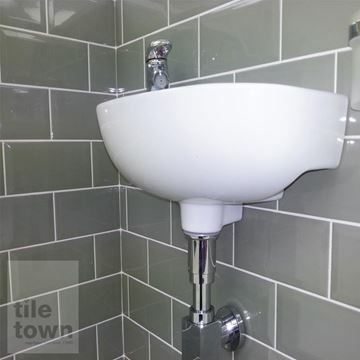 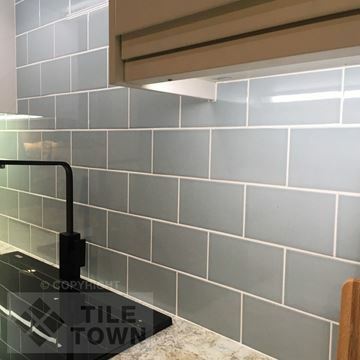 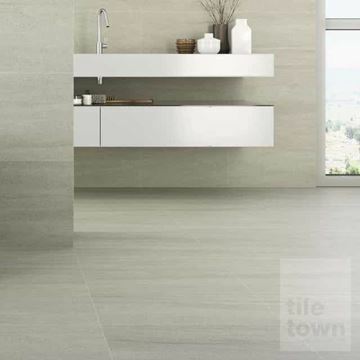 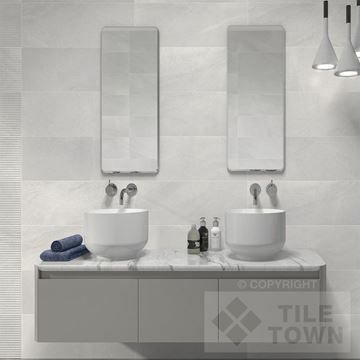 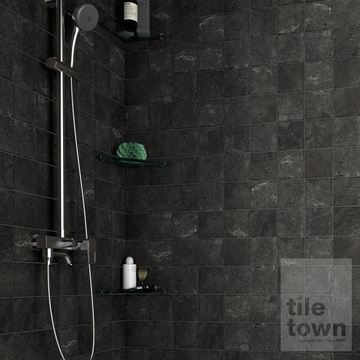 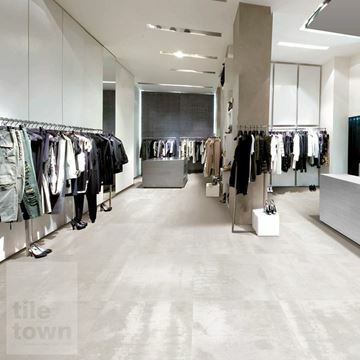 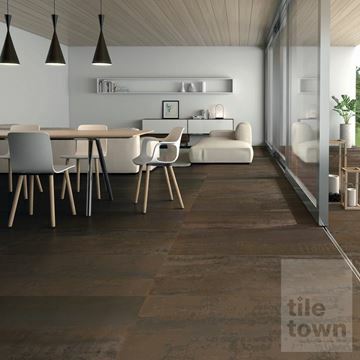 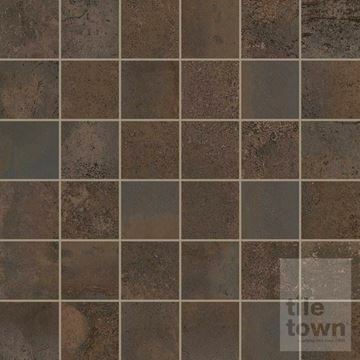 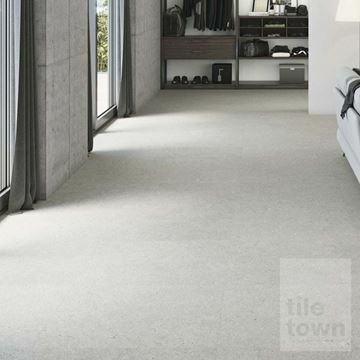 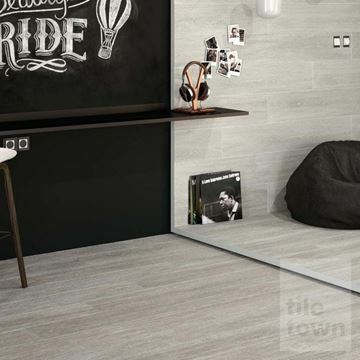 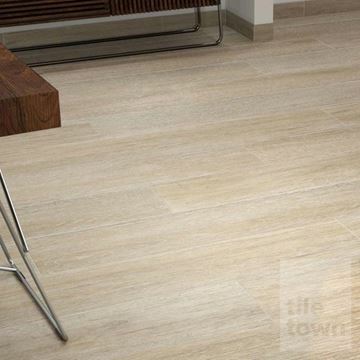 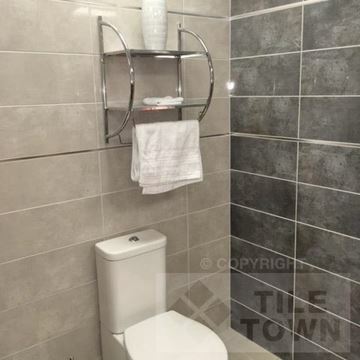 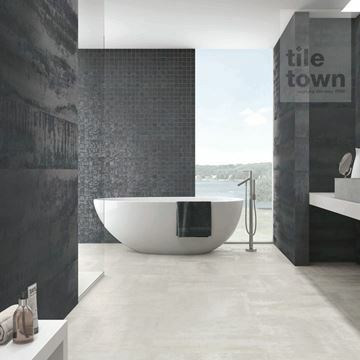 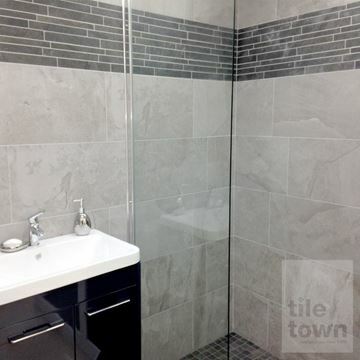 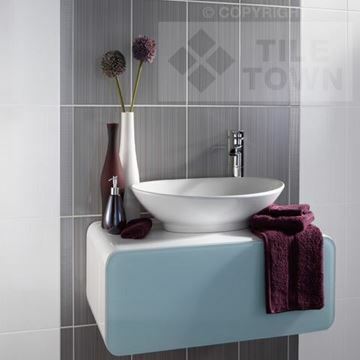 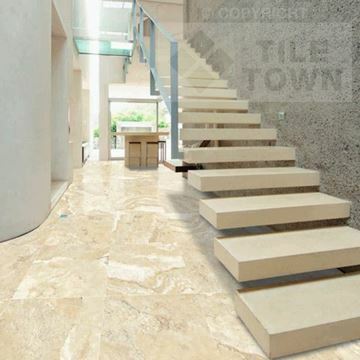 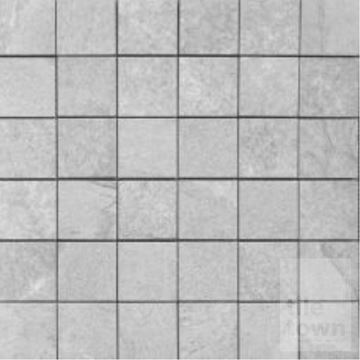 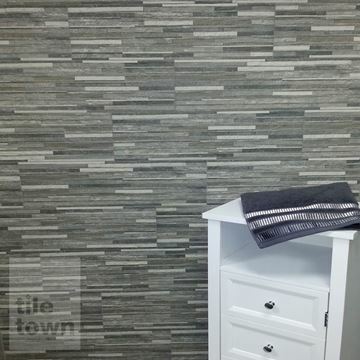 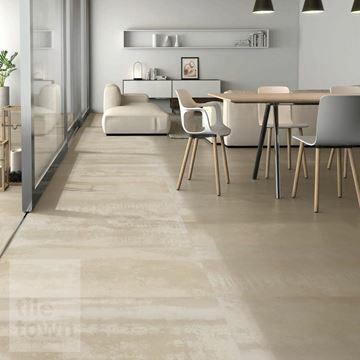 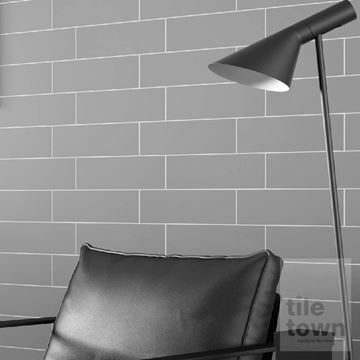 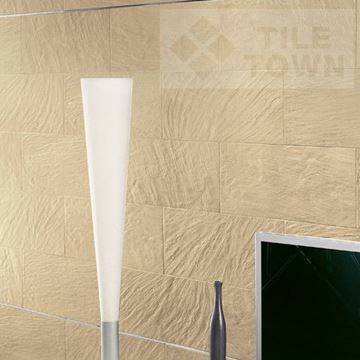 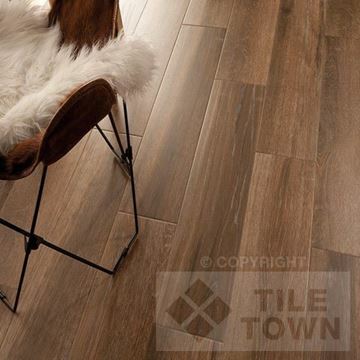 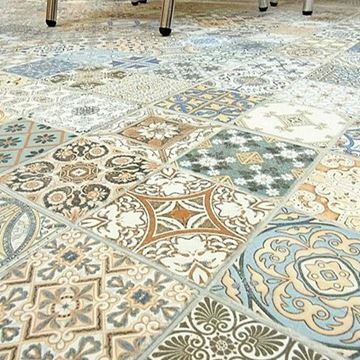 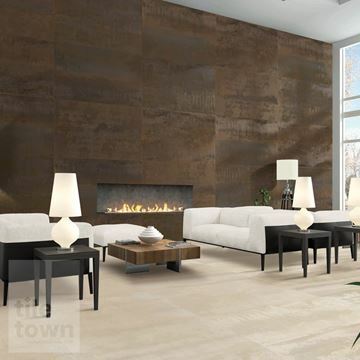 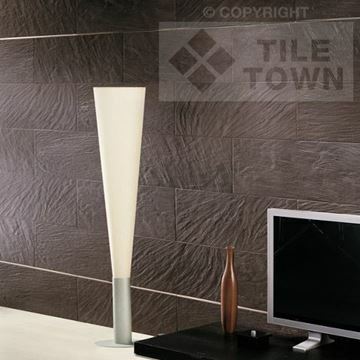 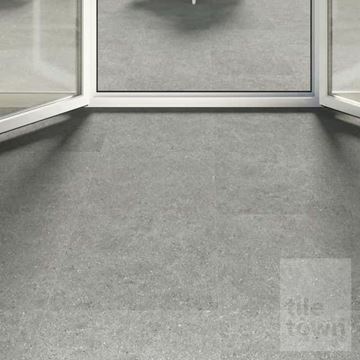 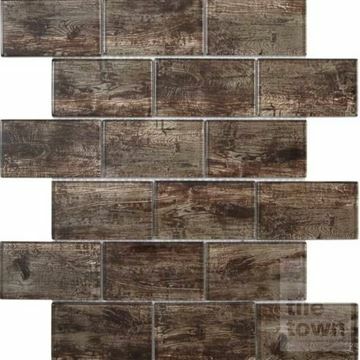 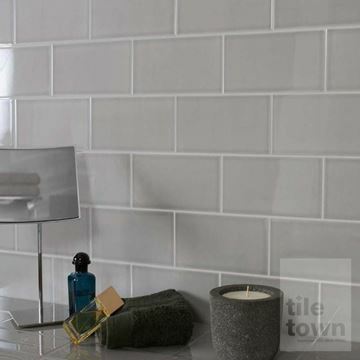 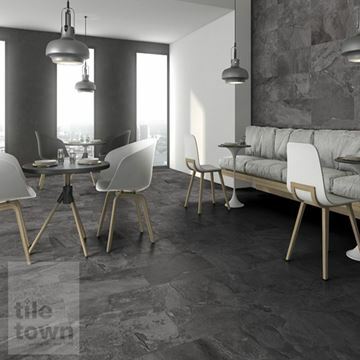 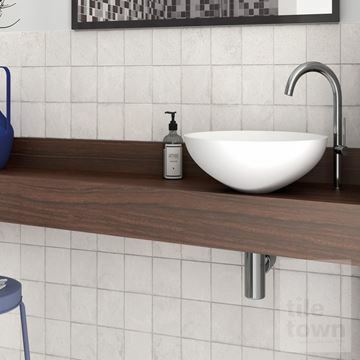 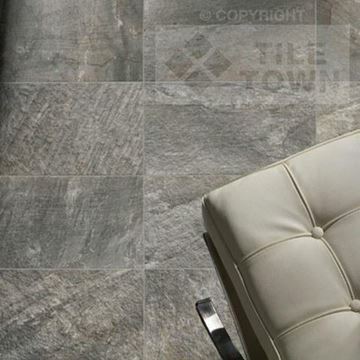 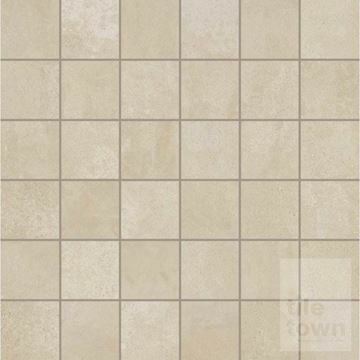 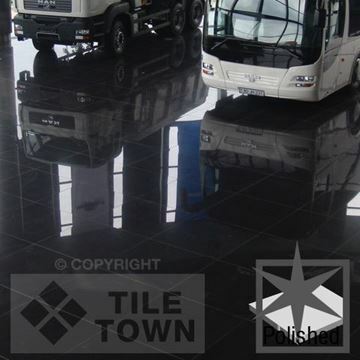 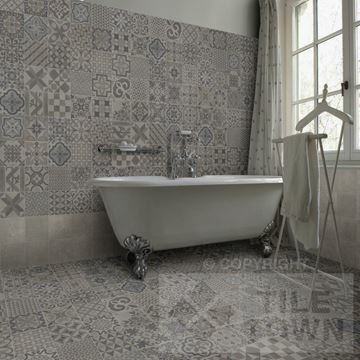 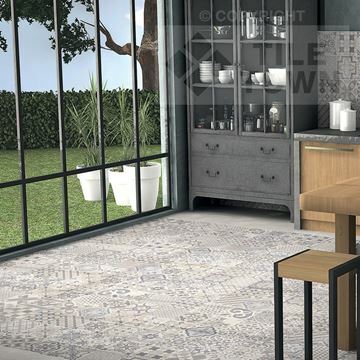 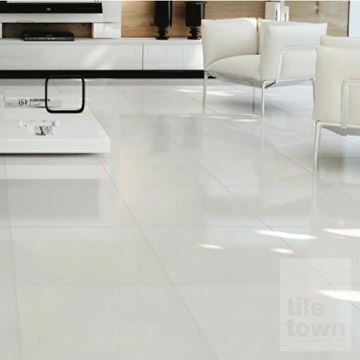 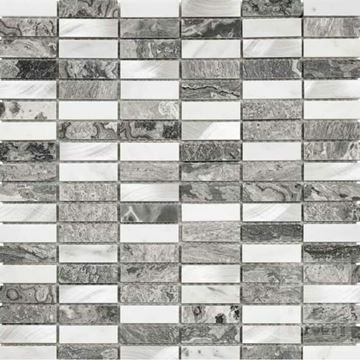 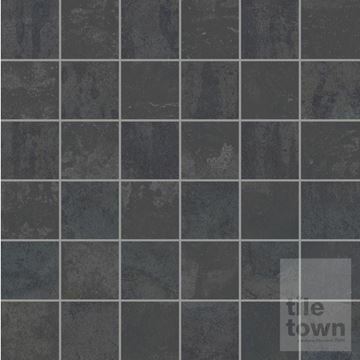 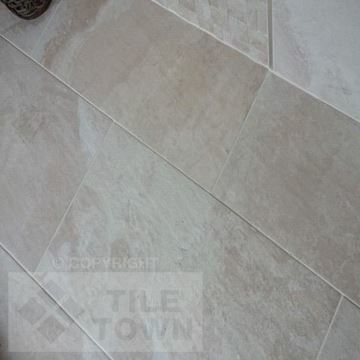 At Tile Town, the possibilities are endless! 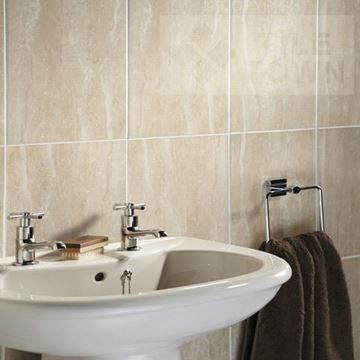 First of all, when it comes to materials, we have a huge range available for your bathroom walls and floor. 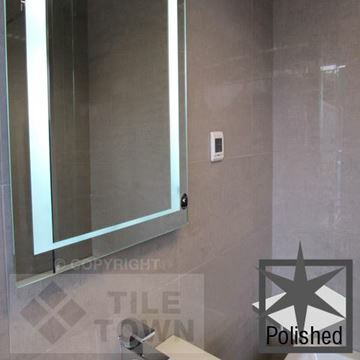 We offer ceramic, porcelain, stone, and even glass tiles – all of these are great at keeping water out, making them perfect for the bathroom. 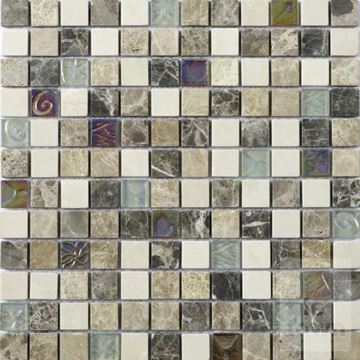 You’ve also got a great selection styles to choose from. 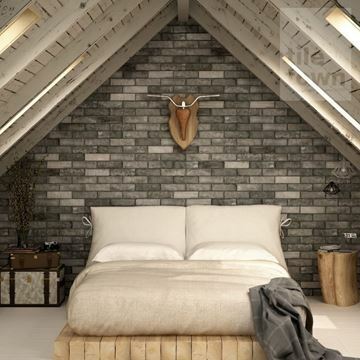 Want to create a simple, cosy feel without the nightmare of mixing exposed brickwork and water? 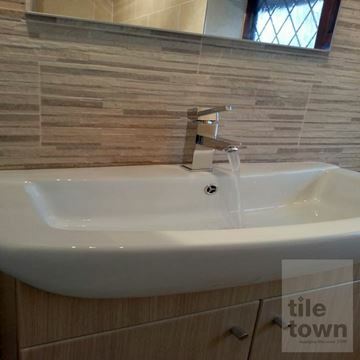 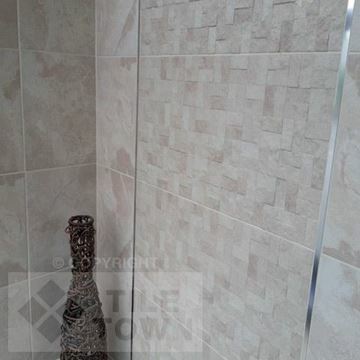 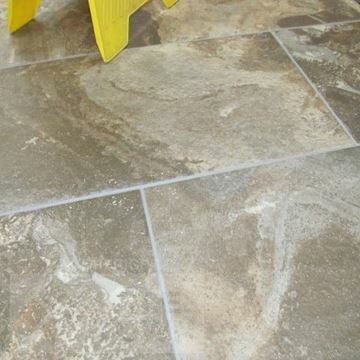 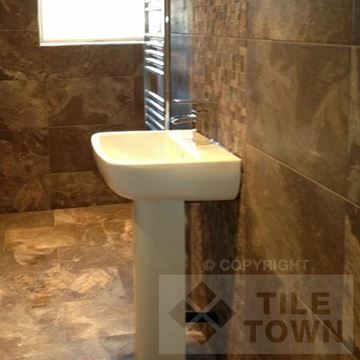 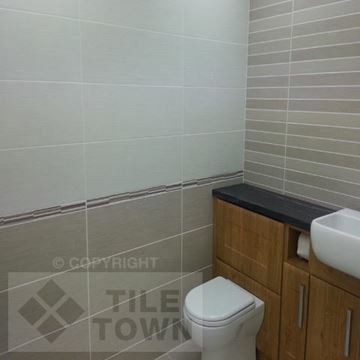 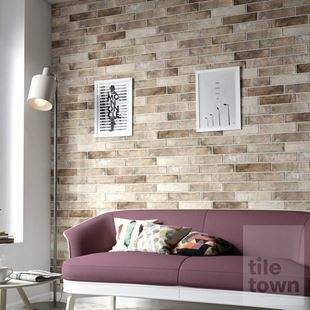 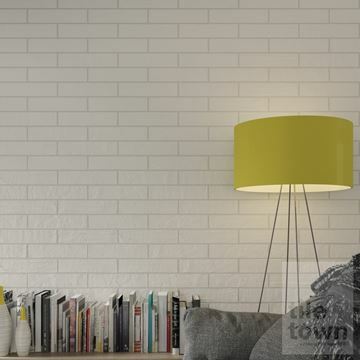 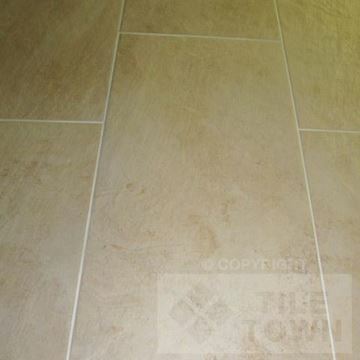 Then go for some of our brick effect tiles. 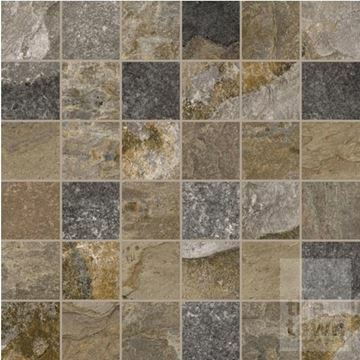 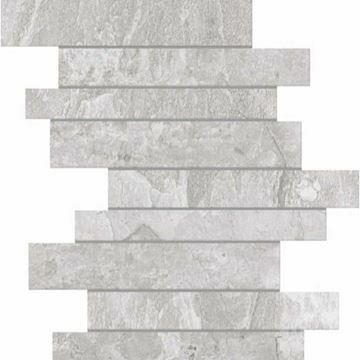 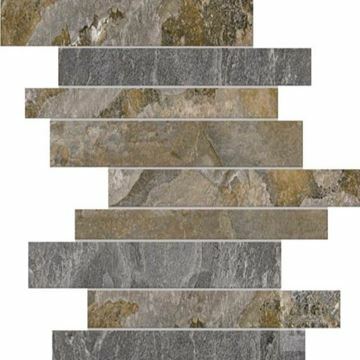 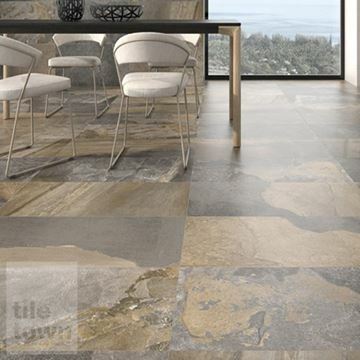 Go rustic with either natural stone or stone effect tiles, or go loud with mosaic or mixed colours - we’ve got you much covered no matter what you’re after. 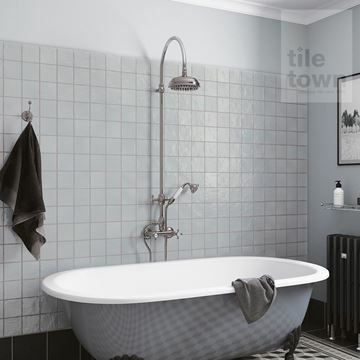 And don't forget that you can use tiles to superb effect around the bathtub and shower area, perhaps by creating a decorative tile border or using a single complementary colour to enhance the floor and walls. 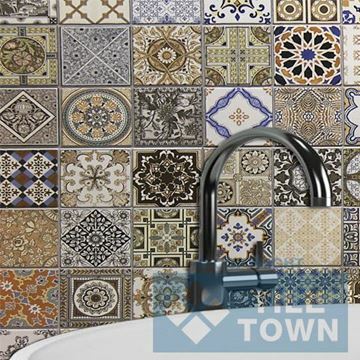 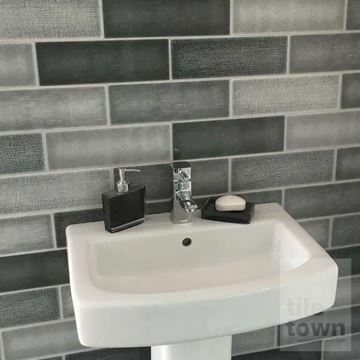 Whatever your choice, bring your ideas for your bathroom wall or floor along to one of our showrooms and we’ll gladly talk to you about what you’re planning and let you have a close-up look at all of our tiles. 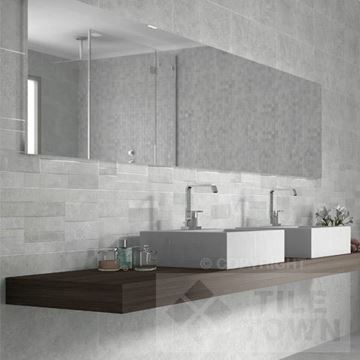 Tiles are generally the best decorative choice for improving your bathroom, as they bring together aesthetics and practicality. 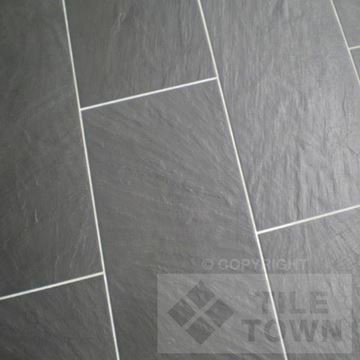 They are easy to maintain and very durable. 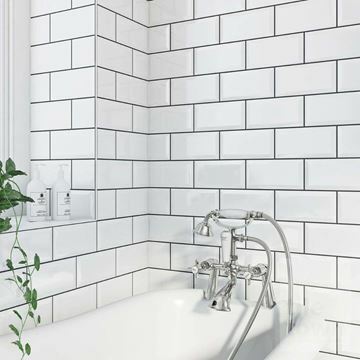 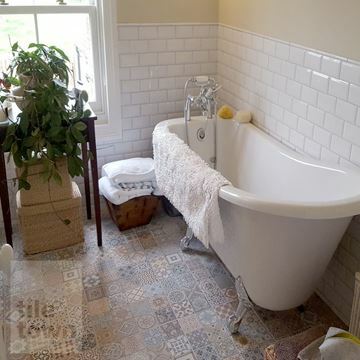 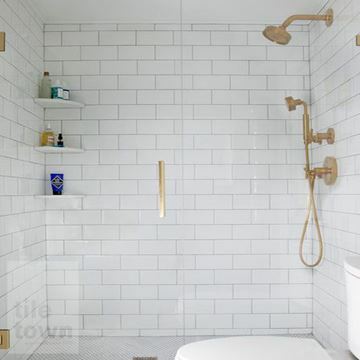 But bathrooms can be slippery places, so it’s important to bear this in mind and choose tiles that not only look fantastic, but are also safe for use in that environment. 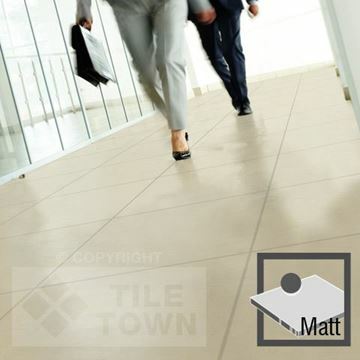 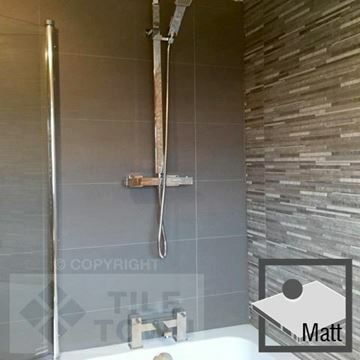 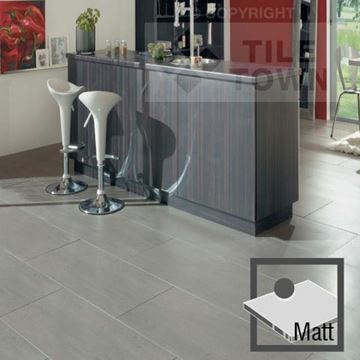 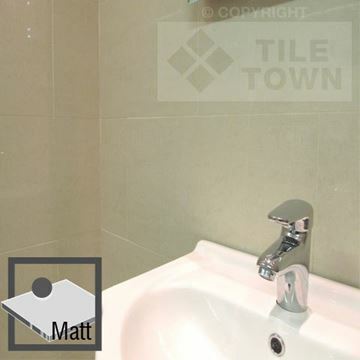 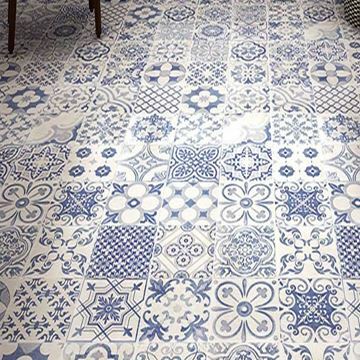 That's why we'd generally recommend matt, unglazed tiles for the floor, as the gloss on the glazed versions tends to be slippery. 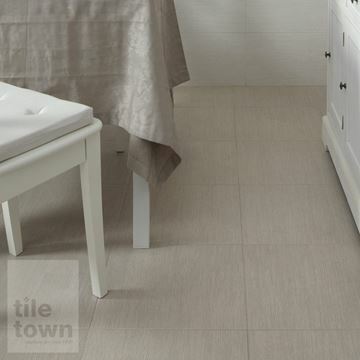 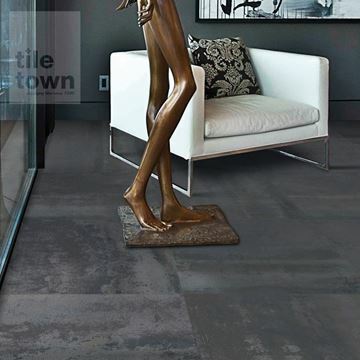 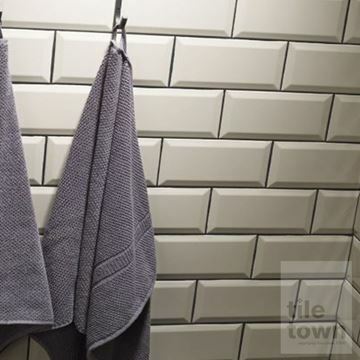 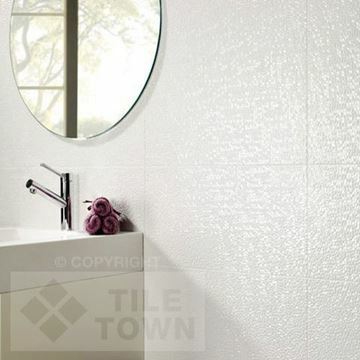 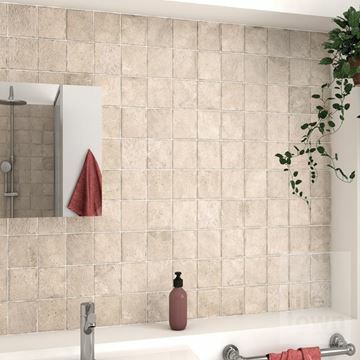 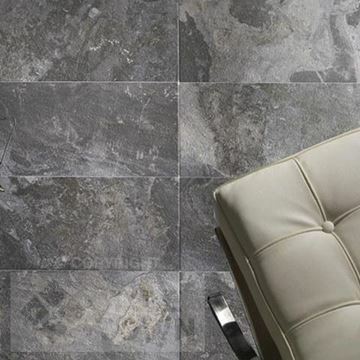 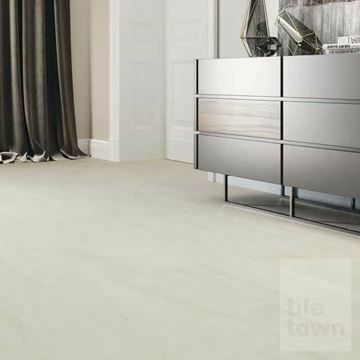 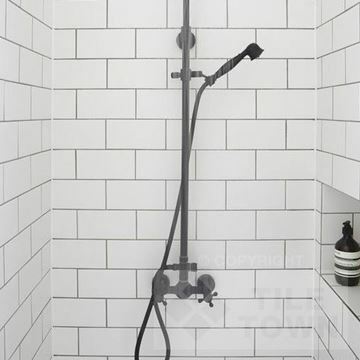 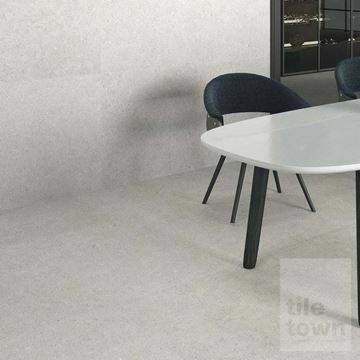 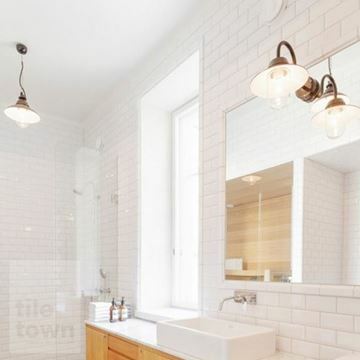 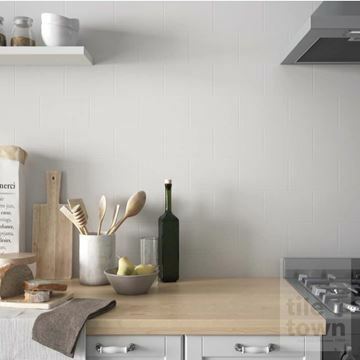 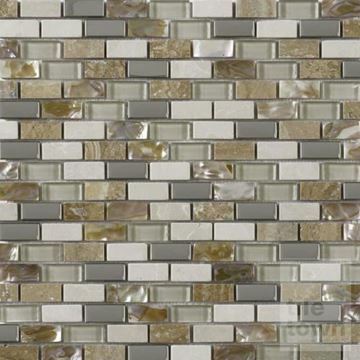 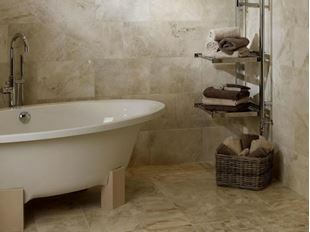 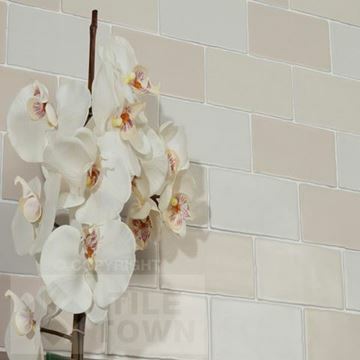 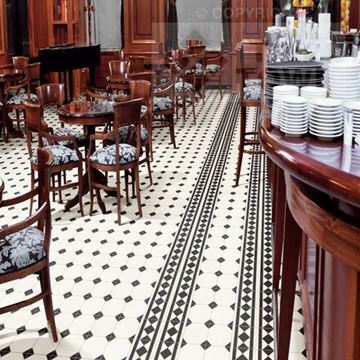 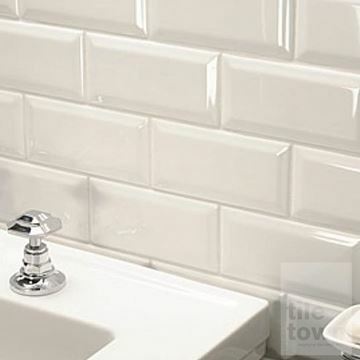 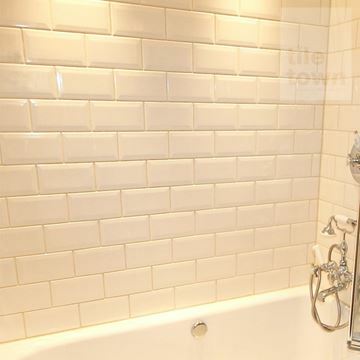 Or opt for textured tiles with a rougher surface to them for more grip on the floor. 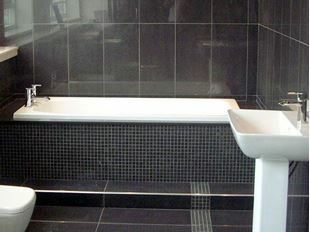 We have plenty of options here to ensure safety without compromising on aesthetics and design. 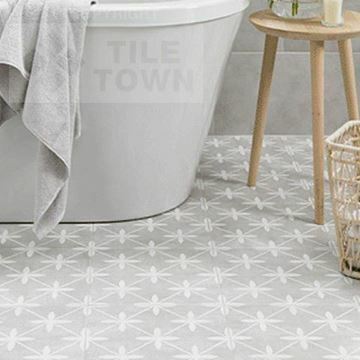 Your safety and satisfaction is important to us, so we will be happy to help and advise you when it comes to selecting non-slip tiles for the bathroom. 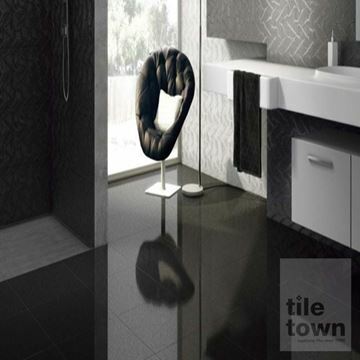 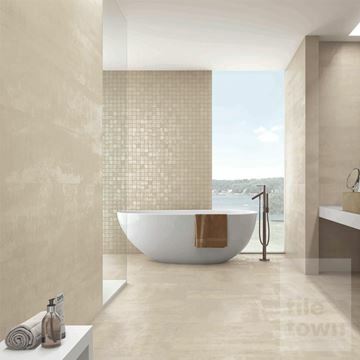 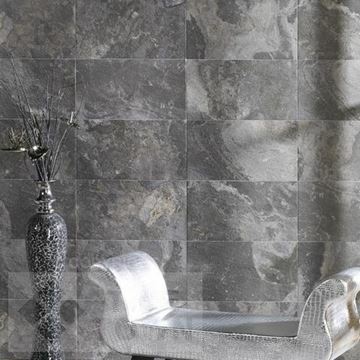 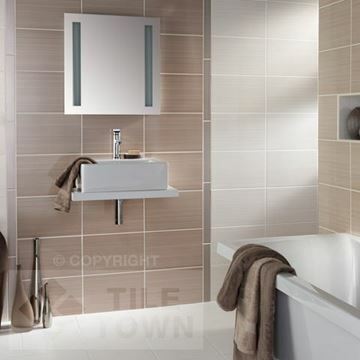 Online you can take a look at the superb range of bathroom tiles we offer and get inspiration for your new bathroom look. 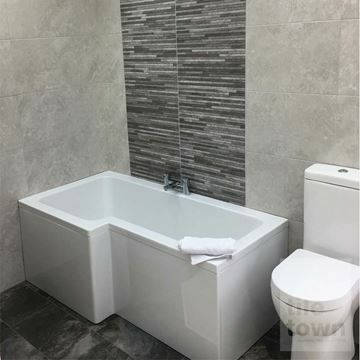 But we also know how important it can be to see and feel the products you’re thinking of buying, so you can come by one of our stores in Derby or South Normanton (Derbyshire) too. 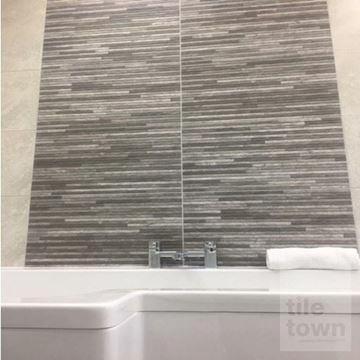 As well as being able to take a closer look at the tiles in our range, our team will be happy to talk through your bathroom ideas and give you all the necessary advice and guidance to turn your project from a dream into reality. 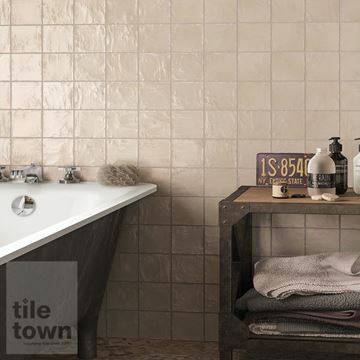 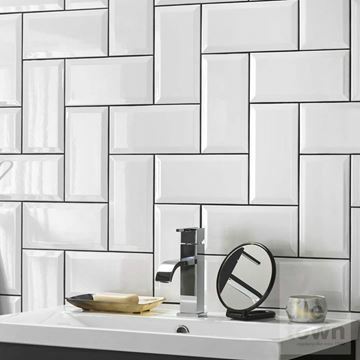 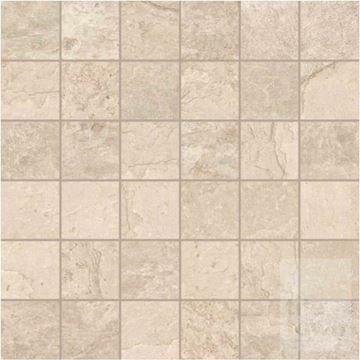 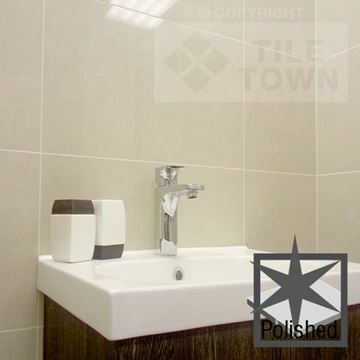 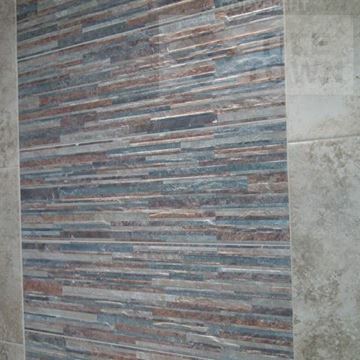 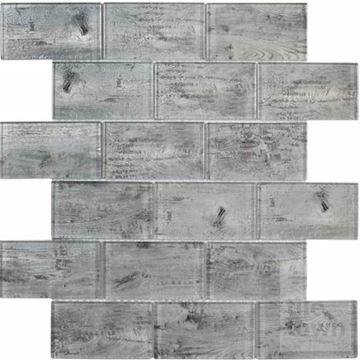 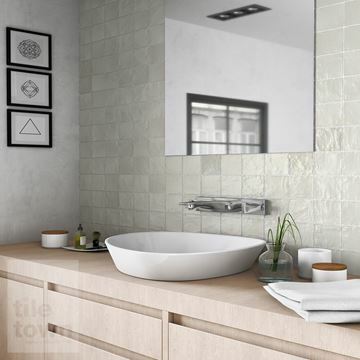 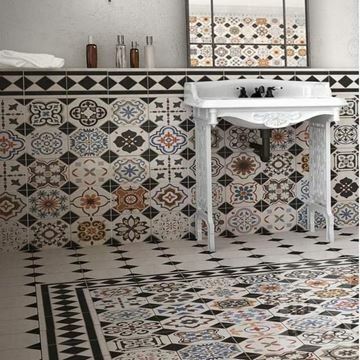 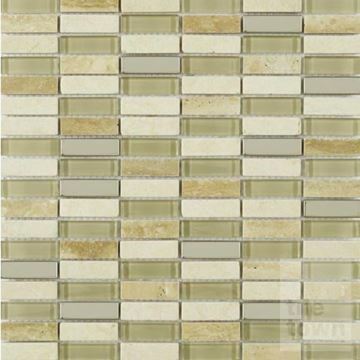 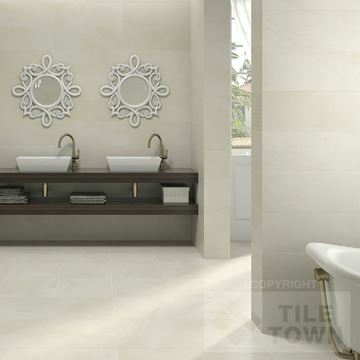 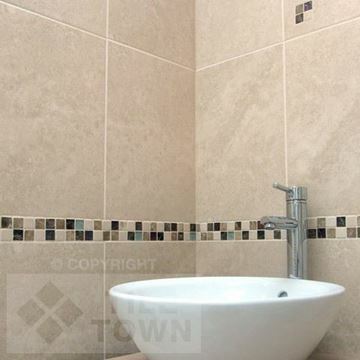 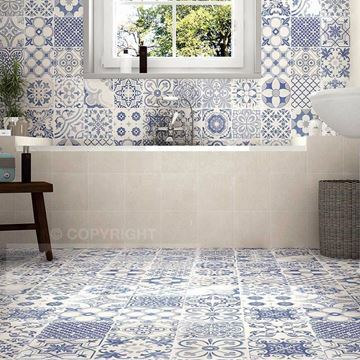 We've got bathroom tiles for every budget and every design style. 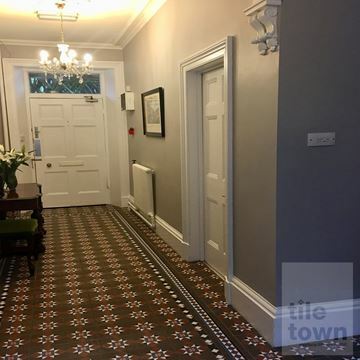 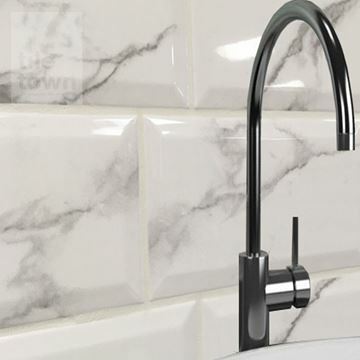 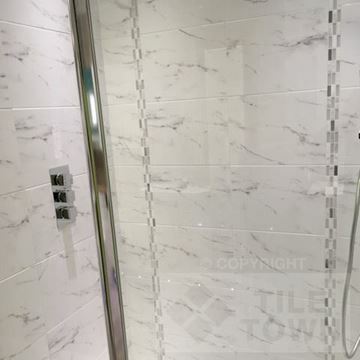 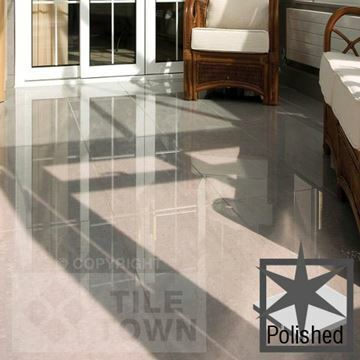 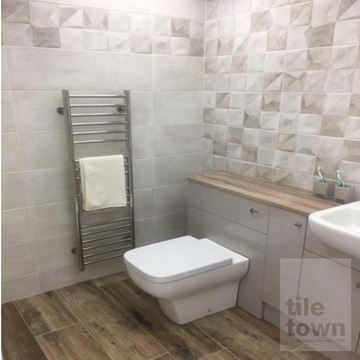 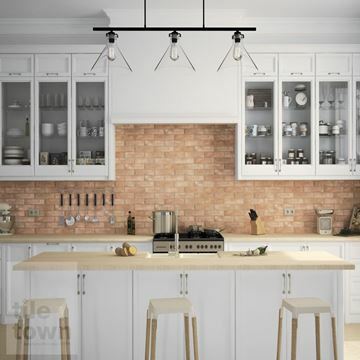 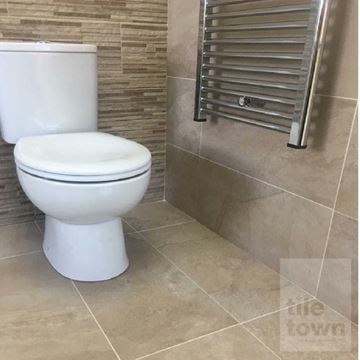 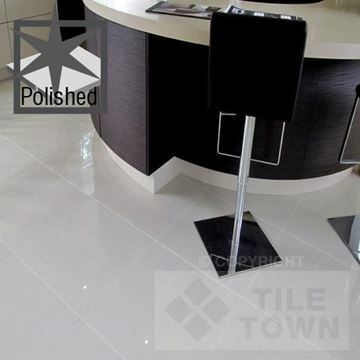 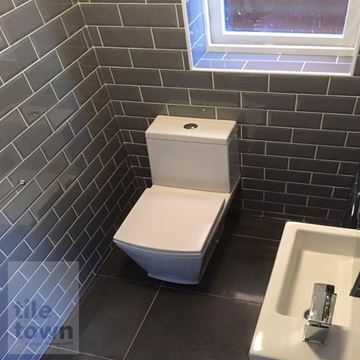 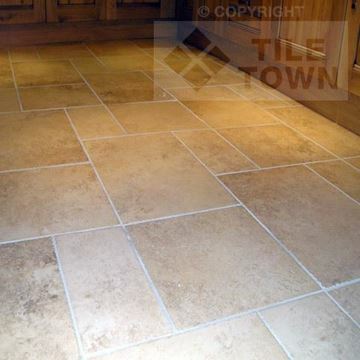 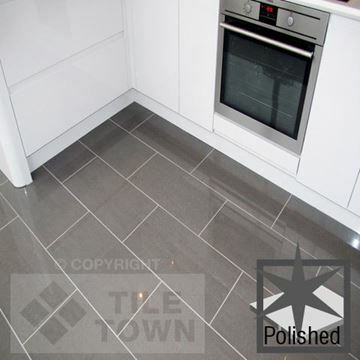 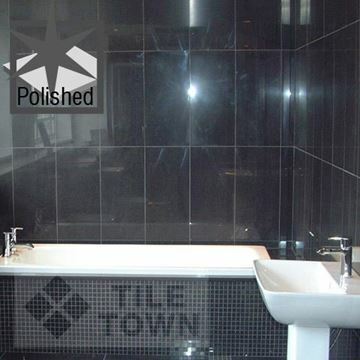 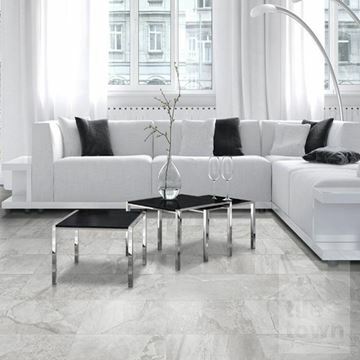 What's more, as the top tile supplier to the trade and for DIY home improvement in the East Midlands, you can buy your tiles from us with absolute certainty that what you’re buying is going to be high-quality.